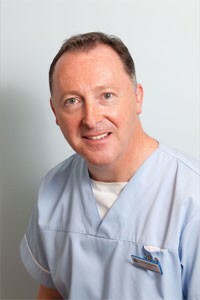 Dr Fitzpatrick qualified from Liverpool Dental School in 1986. He worked for 2 years in general practice before travelling to Sydney Australia where he worked for 12 months in a practice dedicated to cosmetic dentistry. After returning to the UK he completed a one year course in advanced restorative dentistry with Paul Tipton. He obtained his Diploma in General Dental Surgery from the Royal College of Surgeons in 1992 and his Diploma in Clinical Hypnosis from UCL in 1994. One year course in advanced cosmetic dentistry with Howard Stean. He has also completed One year courses in Implantology and in cosmetic dentistry at the Tipton Institute in Manchester. Dr Fitzpatrick has recently completed a 14 month course in Advanced Implantology which included advanced anatomy and bone grafting courses in Washington USA. ​Liam has also completed a certified course on applied anatomy for advanced implant placement and a course on implant aesthetics.